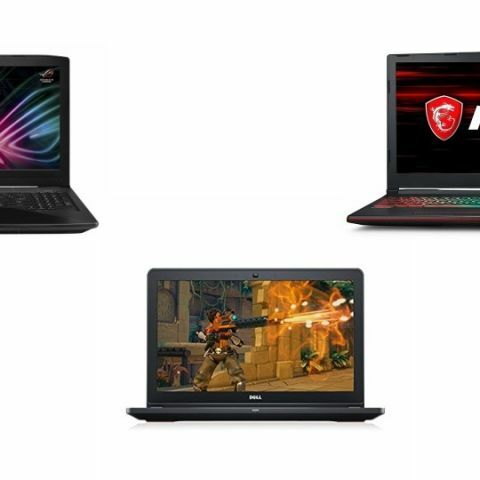 For today’s deals roundup, we have found some interesting gaming laptop deals on Paytm Mall. The products we’ve listed down are available with a discount and a cashback on the platform. The Paytm Mall gaming laptops deal is about to end tonight and we have covered the best deals the platform is offering right now on gaming laptops. This list contains products from some well-known manufacturers like Dell, Asus, and more. The MSI GP63 sports a 15.6-inch full HD display with a resolution of 1920 x 1080 pixels. The laptop is equipped with an 8th Gen Intel Core i7 processor, which is paired with a 6GB Nvidia GeForce GTX 1060 graphics card. The laptop is VR ready and features RGB lighting as well. Click here to buy. The MSI GL63 sports a 15.6-inch full HD matrix display that can be connected to up to two external 4K devices. The laptop is backed by the latest 8th Gen Intel Core i7 processor. When it comes to the graphics card, it offers Nvidia Geforce GTX 1050 Ti with 4GB video memory. Click here to buy. The Asus ROG Strix comes with the latest 8th Gen Intel Core i7 processor which is paired with a Nvidia Geforce GTX 1050 Ti graphics card. The laptop is also equipped with an anti-dust cooling system, which improves the airflow system of your laptop as per the game requirements. It also has an inbuilt smart amp technology to boost the audio output of the device for an enhanced gaming experience. Click here to buy. The Dell Inspiron 7567 features an Intel Core i7 processor, which is paired with 16GB DDR4 RAM and 1TB hard drive. It offers a Nvidia GTX 1050Ti GDDR5 graphics card and comes with Windows 10 pre-installed. Click here to buy. The Dell Inspiron 5577 sports a 15.6-inch full HD display with a resolution of 1920 x 1080 pixels. The laptop is backed by an 8th Gen Intel Core i7 processor with 8GB DDR4 RAM and 1TB hard drive. It has a Nvidia Geforce GTX 1050 graphics card with 4GB DDR5 video memory. The laptop also has a built-in subwoofer to provide users a better audio experience. Click here to buy. The Asus TUF features a 2.3GHz Intel Core i5 8th Gen processor, which is paired with 8GB DDR4 RAM and 1TB hard drive. The device offers a 4GB Nvidia GeForce GTX 1050 Graphics card and 15.6-inch FHD display. Click here to buy.